Organic farming is an approach of agriculture that involves the cultivation and propagation of crops and livestock without the use of chemical fertilizers, pesticides, genetically modified organisms, antibiotics and growth hormones etc. Organic farming system avoids the use of the chemical synthetic inputs and maximizes the practices of crop rotations, use of animal manures, organic wastes and biological system of micro-macro nutrient mobilization and plant protection in an eco-friendly manner. From last few years, there has been a significant sensitization of the global community on environmental conservation and safe food which relied on agriculture practices based on biological inputs instead of applying synthetic inputs of chemical fertilizers and pesticides. Organic farming has emerged as the only remedy to bring a long lasting sustainability to agriculture. Organic agriculture exhibits the use of traditional agricultural practices that have been known to the farming communities over the decades. As a result this approach not only provides good quality food without chemical constituents but at the same time possess a healthy and cost effective approach to the agriculturists to cultivate an abundance of chemical-free food. The application of organic traditional inputs plays a key role in establishing an economic farming system in the modern agriculture. 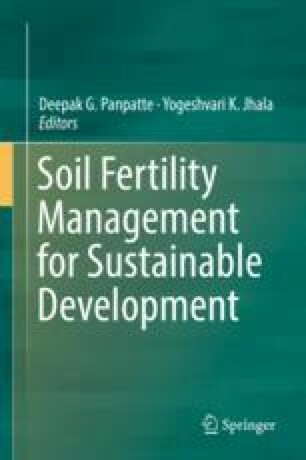 This chapter will be an attempt to explain the significance of organic farming and application of traditional, indigenous and cost effective approaches in the agriculture so that it will be beneficial to the farmers to perform low-input farming.